For some, designing a kitchen can seem daunting; but it can be the time to really channel that inner creativity. Being the heart and hub of the home, the kitchen is the place to make your mark. With so many options and combinations of style, functionality and colour to choose from you can really make it personal. However, we can all need a bit of a helping hand with visualising our dreams from time to time. Have a browse through some of our more recent kitchen projects to get a taste of what you can achieve with just a little thought and a lot of imagination. Anything is possible. The multiple oven option is brilliant for home cooks who love to challenge themselves with elaborate multicourse meals. Why not install all of the latest gadgets, such as a rotisserie oven or a proving draw? Allow your kitchen to truly reflect your personality. Make it the place you want to spend your free time. The images above are just some examples of the range of kitchens we can provide. When planning your own dream kitchen, jot down any ideas you have – no matter how off-the-wall or daring they may seem. Our kitchen designers can then work with you to obtain the best configuration to give you what you want with very little compromise. So get thinking and have some fun. 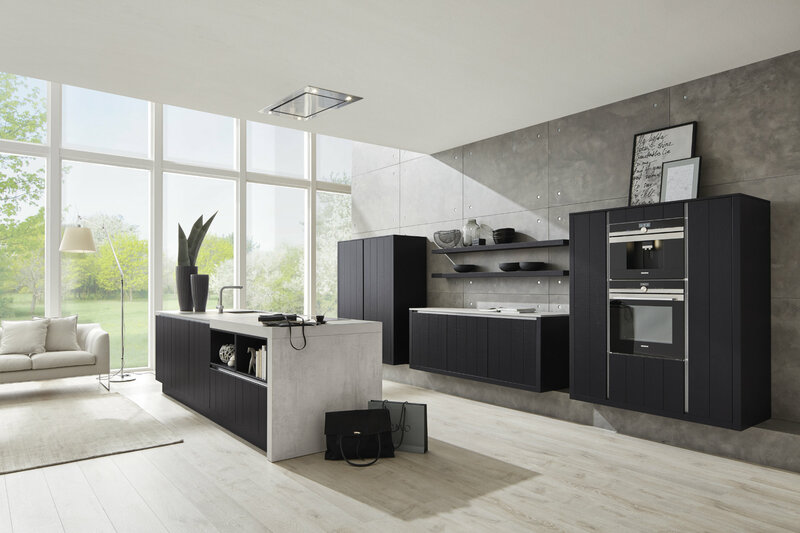 If you’d like to speak to us about your dream kitchen give us a call on 01279 504230 or email info@designerkitchensforless.co.uk. Also, be sure to follow us on Twitter and Facebook.